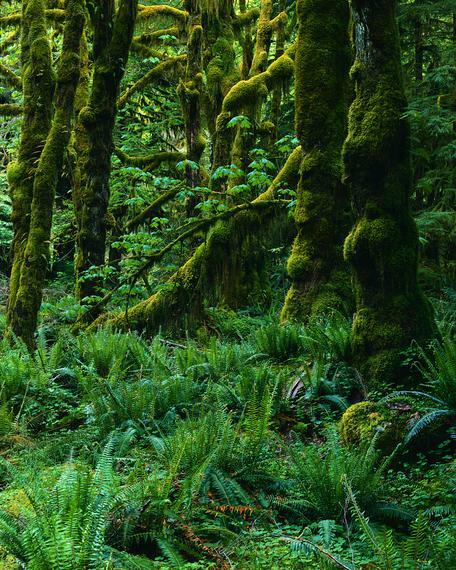 Plant diversity in the temperate rainforest of the Pacific Northwest. Teaching about biology offers abundant opportunities to incorporate sustainability into the classroom. Sustainability topics are a natural fit with numerous themes in biology such as population dynamics, agriculture, the carbon cycle and more. Sustainability can be addressed in many different types of courses, from Bio 101 to advanced graduate-level classes. Thus, there are many pathways to introduce sustainability themes into a wide range of topics. Social Norms and Global Environmental Challenges: The Complex Interaction of Behaviors, Values, and Policy Kinzig, Ann P. et. al., March 2013, BioScience, Vol. 63, No. 3, pp. 164-175. This article addresses the difficulty that policy makers face when problems are large, complex, and in flux (eg, climate change). Urban Biodiversity Gains New Converts Blaustein, Richard. February 2013, BioScience, Vol. 63, No. 2, pp. 72-77. The Challenge of Lignocellulosic Bioenergy in a Water-Limited World King, John S. et. al., February 2013, BioScience, Vol. 63, No. 2, pp. 102-117. 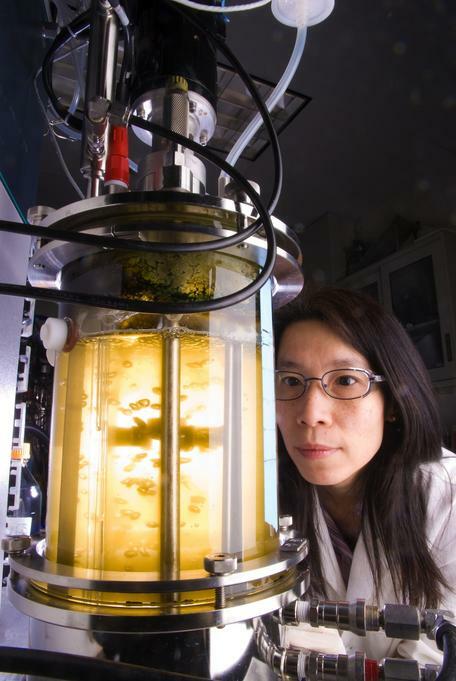 This study examined 'the water-use effeciency of tree- and grass-based bioenergy sytems' and projects that relative water availability will be a key factor in the development of these energy systems. What Is Conservation Science? Kareiva, Peter et. al., November 2012, BioScience, Vol. 62, No. 11, pp. 962-969. This article re-addresses the question of 'what is conservation biology?' by taking into account the advances of the past 25 years. Creating a Sense of Urgency Morris, Robert D., November 2012, BioScience, Vol.62, No. 11. This article is a review of three books that address the water/energy crisis taking place in the US. How do we teach sustainability in a politically unengaged community Moore, John. October 2009, NABT. This blog post contains excerpts of a letter written by John Moore for The American Biology Teacher, addressing the importance of teaching sustainability. Call for Action: Life Altering Environmental Experiences Mackenzie, Ann Haley. April 2008, NABT, Vol. 70, No. 4. This is an editorial published in The American Biology Teacher, advocating the importance of getting students outside, where they can have life-changing interactions with the environment. An Analysis of Environmental Issues in 19th Century England Using the Writings of Charles Dickens Mackenzie, Ann Haley. April 2008, NABT, Vol. 70, No.4, pp. 202-204. This article is about how to use Dickens' writings to get students thinking about various environmental issues such as water and air quality, diseases and waste management. Editorial: Sustainability for Here and Now Beardsley, Timothy M., June 2010, BioScience, Vol. 60, No. 6, p 403. This editorial discusses two articles from the same edition of BioScience that address ecosystem management. A statement by the National Association of Biology Teachers on the importance of teaching sustainability and some guidelines on how to do so. A collection of teaching resources with sustainability as a common theme. This website provides access to peer-reviewed articles related to biodiversity, the environment, genomics, biotechnology, evolution and science policy. An article by the American Institute of Biological Sciences on the importance of teaching sustainability. The School seeks "to promote, through education, research, and outreach, a transdisciplinary, systems–based approach to simultaneously improve economic, social, and environmental well–being." They offer a masters in sustainability and an MA in food studies as well as other programs that are open to undergraduates. The EPA's resources on Environmental Education pair nicely with many biology topics. The National Socio-Environmental Synthesis Center (SESYNC)—funded through a National Science Foundation grant to the University of Maryland—is dedicated to solving society's most challenging and complex environmental problems. For over 65 years, the AIBS has been fostering and incubating scientific ideas about how society can meet its current needs without limiting opportunity and quality of life for future generations. The National Association of Biology Teachers' Global Perspectives Committee serves as a forum to enhance biology education internationally and to empower teachers and students to think more critically and creatively about the future. With an emphasis on teaching core biological competencies and creating opportunities to exchange information, the Global Perspectives Committee is committed to: teaching "Biological Sustainability" using an interdisciplinary approach, teaching "Civic Responsibility" and elevating pedagogical strategies to a global dimension.